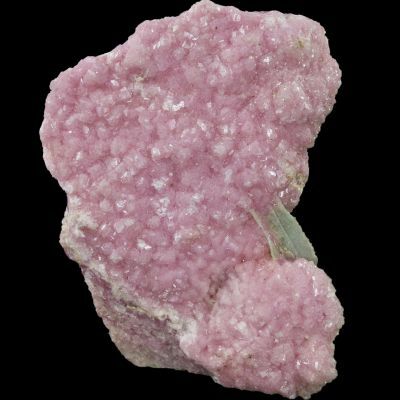 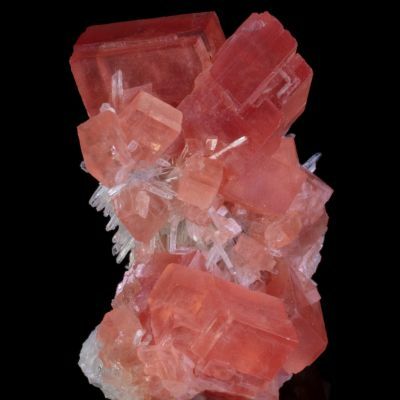 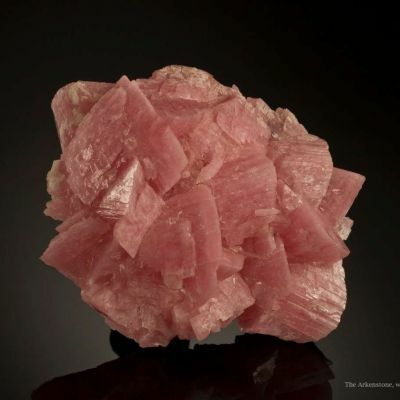 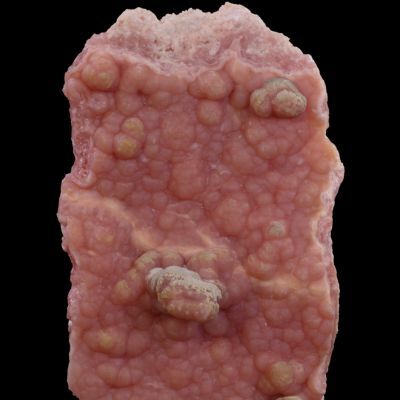 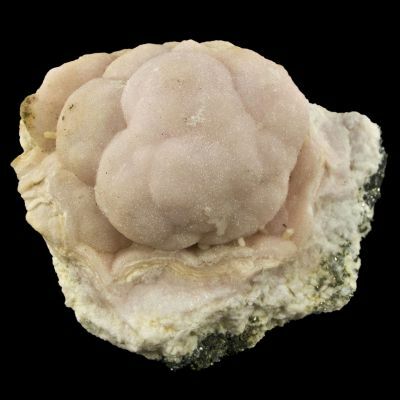 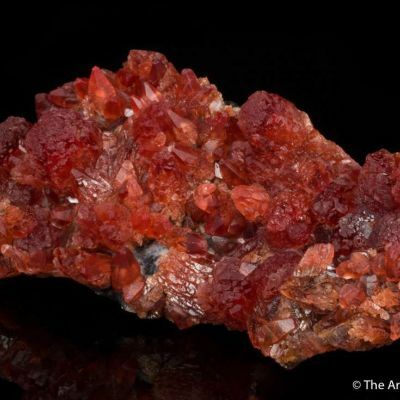 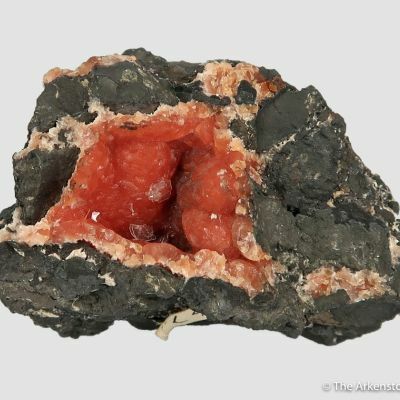 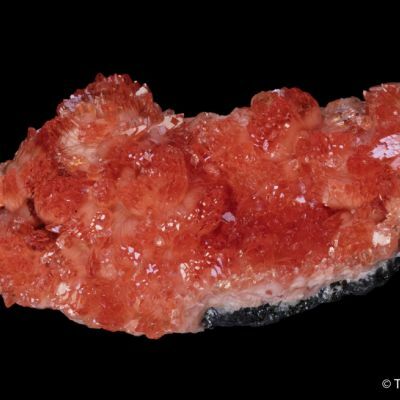 An excellent example of the odd "trigonal," twinned habit of Rhodochrosite from the Poudrette Quarry at Mont Saint-Hilaire, Quebec. 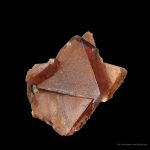 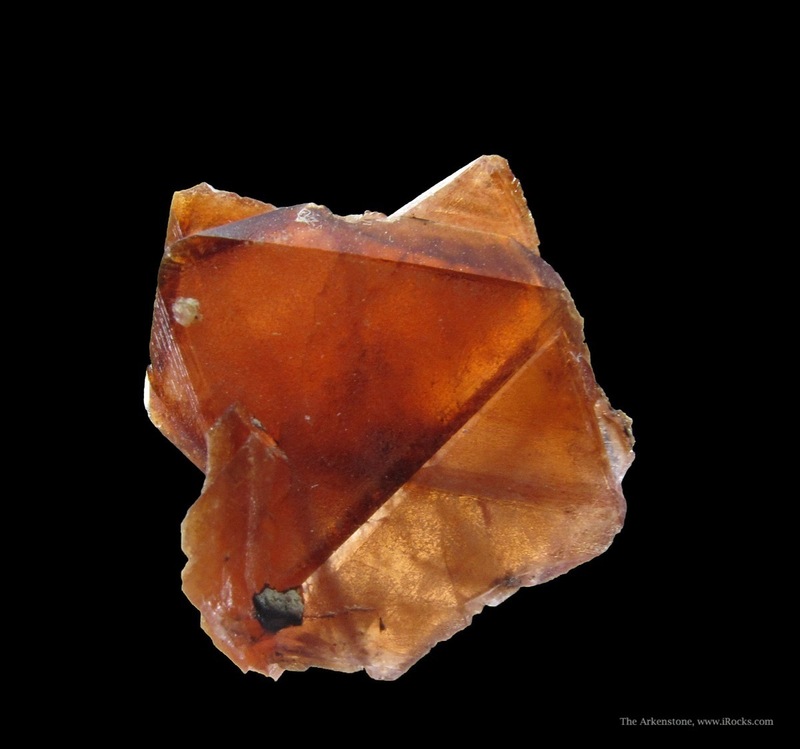 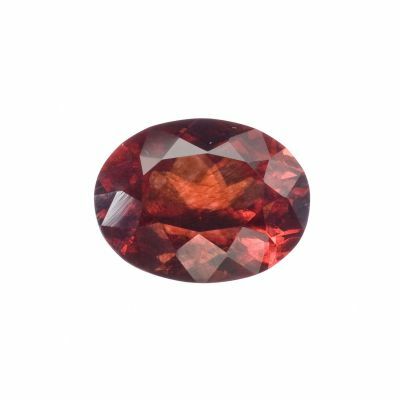 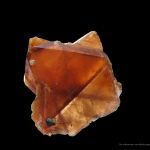 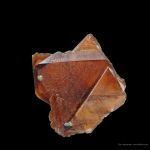 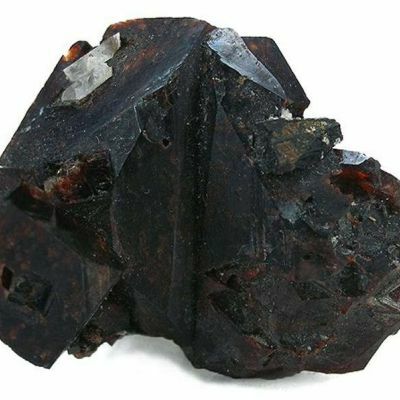 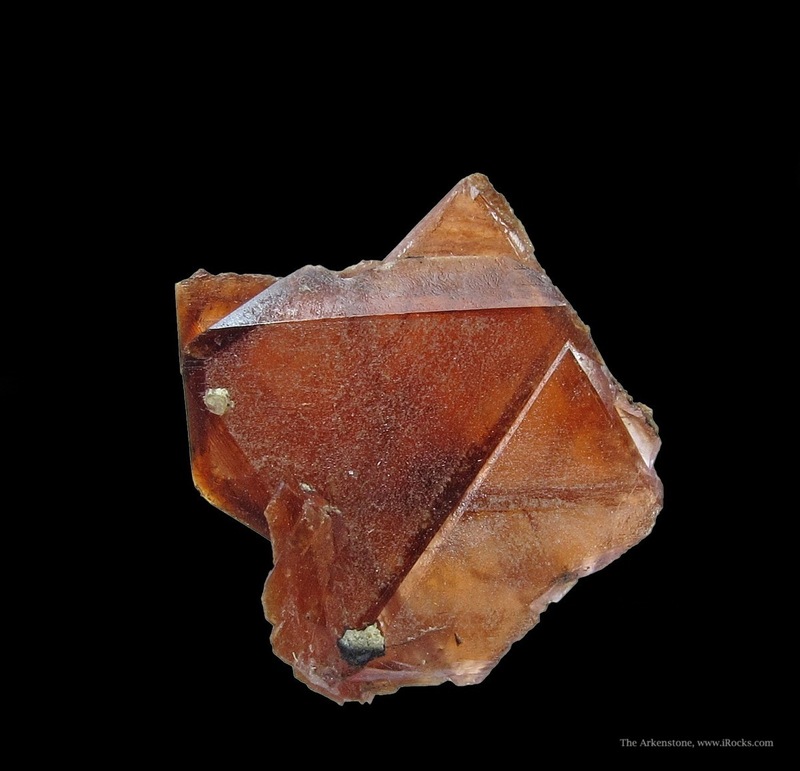 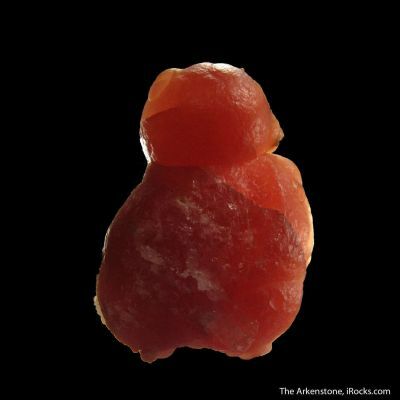 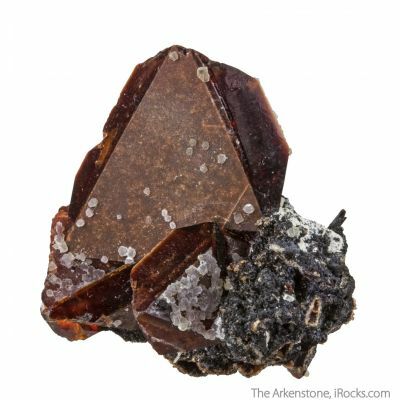 This mahogany-red, translucent and complete-all-around crystal is excellent condition, with contacting only on some of the edges. 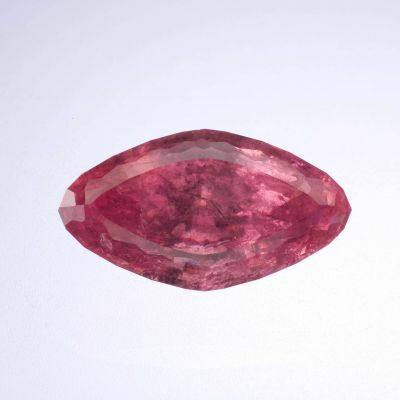 The luster is good, with the faces being finely textured and smoothing out right along the edges, which actually adds quite a bit to the aesthetics. 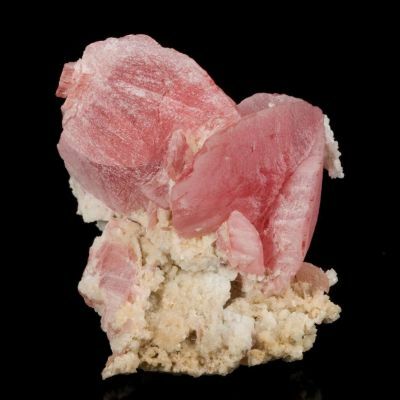 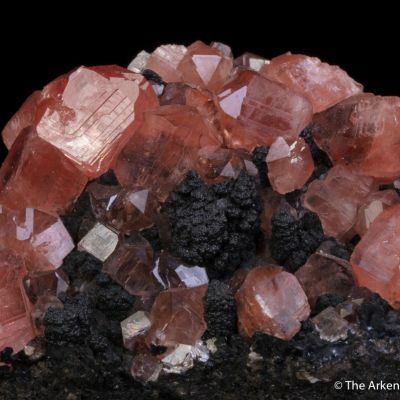 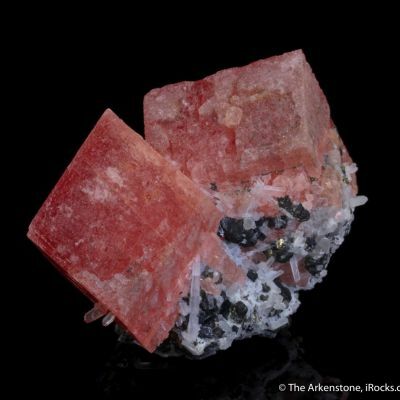 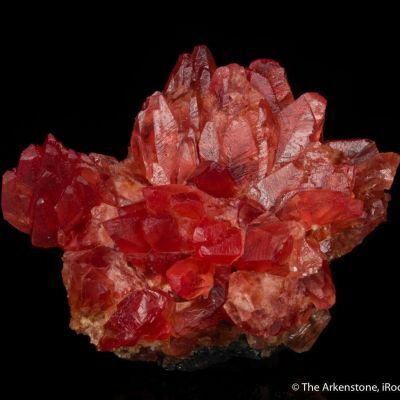 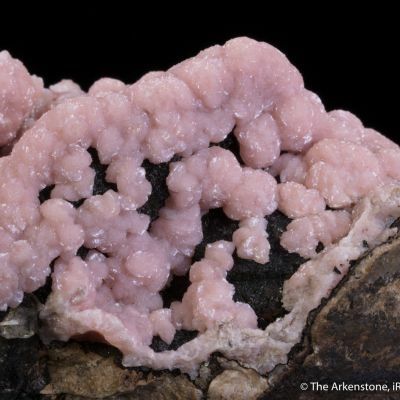 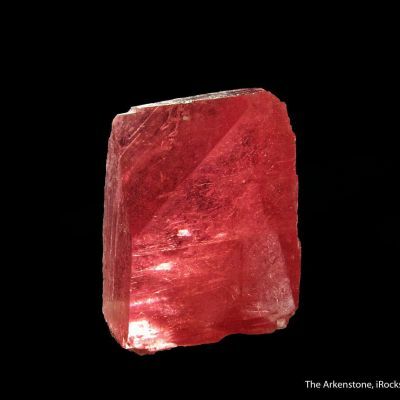 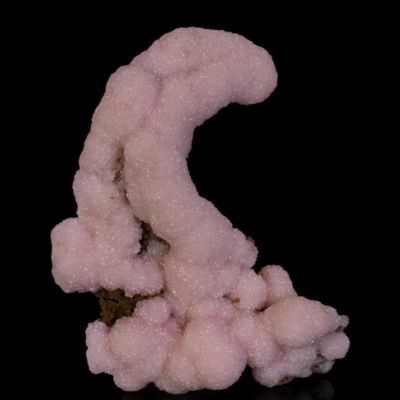 These specimens of flat Rhodochrosite, likely mined in the late 1970's from the alkaline massif of Mont Saint-Hilaire, appear to be contact twins. This one would be considered unusually fine and large for the locality.